The study explored whether baseline individual differences in executive function (EF) affect the relation between elevations in internal states and subsequent likelihood of lapsing from a dietary prescription. 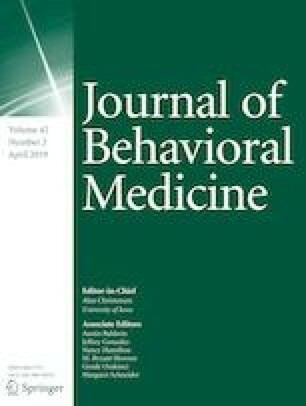 Participants were 189 adults with overweight/obesity in a behavioral weight loss treatment who completed a neuropsychological EF task at intake and a 2-week EMA protocol measuring internal states and dietary lapses at start of treatment. Generalized estimating equations found relations between momentary elevations in tiredness (b = .06, p = .01) and deprivation (b = .06, p = .047) and subsequent likelihood of lapsing were more robust for participants with lower EF, whereas the relation between momentary elevations in boredom and subsequent likelihood of lapsing (b = .04, p = .03) was more robust for participants with higher EF. Results provide support for EF impacting the relation between elevations in internal states and likelihood of dietary lapse, informing the development of personalized behavioral weight loss treatments. This study was funded by the National Institute for Diabetes and Digestive and Kidney Diseases (R01 DK095069) to Dr. Forman. Evan M. Forman reports royalties from Oxford Press for two workbooks on acceptance-based treatment. Rebecca J. Crochiere, Clare Jocelyn Mangubat, and Stephanie M. Manasse declare that they have no conflict of interest.